Jim Bennett is the quintessential gambler, someone who will keep winning until he loses and on nights where the cards aren’t falling his way, he’ll lose money at the table and blood off of it. Bennett (Mark Wahlberg) is an associate English professor by day and a fiend for high-stakes blackjack at night, which is just fine for him, since he’s always in the center of attention. But throughout British director Rupert Wyatt’s The Gambler, which craps out as a remake of the 1974 flick starring James Caan, it isn’t clear which of Bennett’s addictions is greater: his love of gambling or his love for losing. How else to explain how Bennett can go from being up $200,000 in just a few hands of blackjack only to end the night $240,000 in the hole to two thugs: gangster Neville Baraka (Michael Kenneth Williams of The Wire and Boardwalk Empire fame) and illegal casino owner Mr. Lee (Alvin Ing), who give him seven days to settle his debt — or else. The Gambler resembles 1998’s Rounders, which uses Matt Damon’s character gambling away $30,000 on the poker table in the opening scene as a segue into the rest of what turned out to be a very good film. But The Gambler’s problem is Bennett isn’t nearly as likeable as Damon’s Mike McDermott; in fact Bennett’s snarky, I’m-better-than-you attitude makes him easy to dislike. Bennett comes from a wealthy family in Los Angeles, which is why his mother Roberta — played exceptionally well by Jessica Lange — goes to the bank and withdraws a sack of $260,000 as Bennett’s parting gift from her life. Bennett would win the Oscar for worst decision-maker of the year, but Wahlberg’s inability to connect with the audience causes the 111-minute film to feel like it will never end. 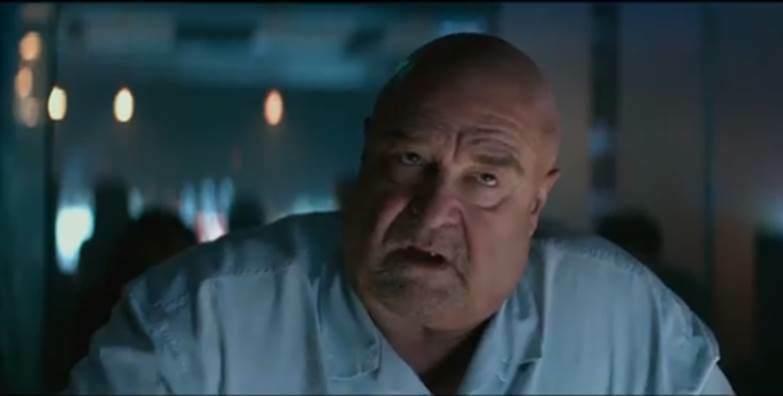 But just before it seems it can’t get any worse for Bennett or the audience, John Goodman appears and it’s like getting dealt two face cards while the dealer is showing a six; good things are bound to happen. Now, it’s up to Bennett to concoct a plan for a clean slate, which could have at least stopped the movie’s downward spiral. But Bennett is such an self-absorbed idiot, the audience finds itself cheering for him to end up in an unmarked grave instead of in the arms of his student-turned-fling Amy, a rather forgettable character played by Brie Larson who is hot but not much else. In the end, paying to see The Gambler is akin to putting $15 on the blackjack table and getting a two jacks, only for the dealer to turn over an ace and a king and take your money. Sometimes, what appears to be something good goes terribly wrong and you’re only left shaking your head.